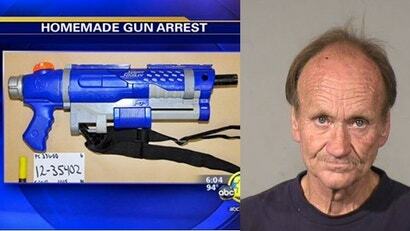 The Fresno Police busted 54-year-old Randy Smith for strutting around Fresno with a homemade shotgun hidden in the plastic shell of a Super Soaker. Look at this guy. That dude walking around with a plastic toy. How could that arouse suspicion?